First, I feel incredibly blessed to have these fourteen people (and their parents!) trusting me to teach them. I look at each of their faces and I know their individual personalities, the songs they love to play, and what makes them timid at the piano. I know which ones love to play forte and which ones I can barely get to play above pianissimo. I know which ones will practice, and which ones don't have a piano at home and so their progress crawls slowly with each week of lessons. I know what I can ask each of them to do. I know which ones love to perform and which ones are mustering every ounce of courage within them (and borrowing some from me) to be brave in front of an audience. Secondly, I look at that picture and I think, "No wonder I'm so exhausted!" But I love those kids. Some of them I've had for seven years. Many more have come through my home and moved away, or graduated from college, or moved on to other instruments. Teaching is such a privilege. I'm not really sure how I got so lucky. I'm really not qualified in any way, except that I love to teach and I know enough piano to pass it on. 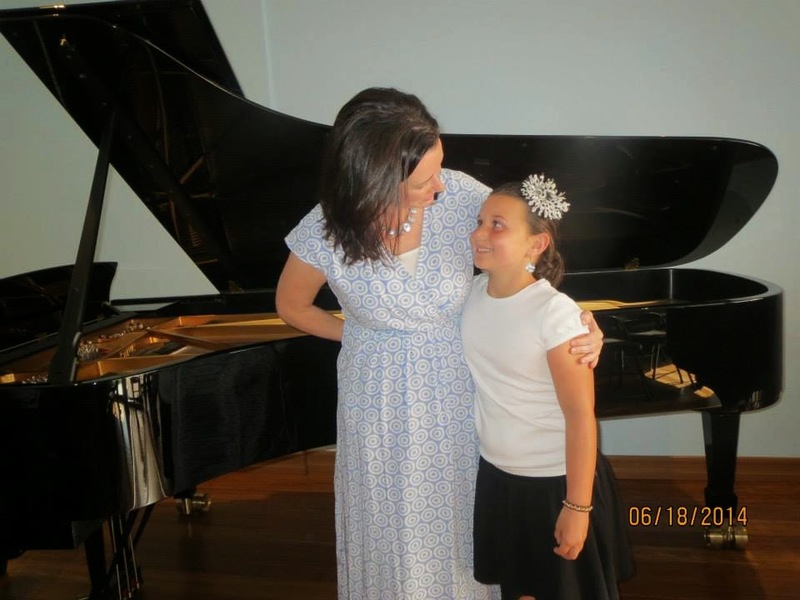 This was a special recital this year. For one, instead of holding it at a church building, I reserved the recital room at the Steinway showroom in Pasadena where the kids got to play on a Steinway Concert Grand, worth $150,000. It was magnificent! This was also Bryce's last recital. I've had Bryce in my home since he was 7 years old, every week, but now he is so busy with high school and drum line and a million other obligations and he simply doesn't have enough hours in the day to keep practicing for piano lessons. We had talked about it and I knew the time was coming, but I still didn't feel ready when a few weeks ago after his lesson, his mom said to me, "Did Bryce tell you?" "Tell me what," I said. "This is going to be it for him." She was sad too. It's hard to see your babies growing up and finishing phases. "Wait, what? Today was it?" "Well, through the recital," she offered. I almost started crying right there on the porch. "I can't handle this right now," I said. "I've had three kids graduate in the last week, and now Bryce? Oh my gosh. Give me through June." I laughed a bit, as did she, but my heart was hurting. She understood. This is Bryce's sister Cate. She is also growing so much at the piano and played a Bach piece beautifully. I was so proud of her! Now that Bryce will be moving on, I will start teaching the youngest brother who is the age that Bryce was when he started lessons. I will miss these beautiful piano hands, and all the music that he has filled my house with over the years. He has become quite accomplished and he thrills the audiences with his performances. This year he played two pieces by Jon Schmidt, of The Piano Guys, as well as Beethoven's Minuet in G. He did an amazing job at All of Me. 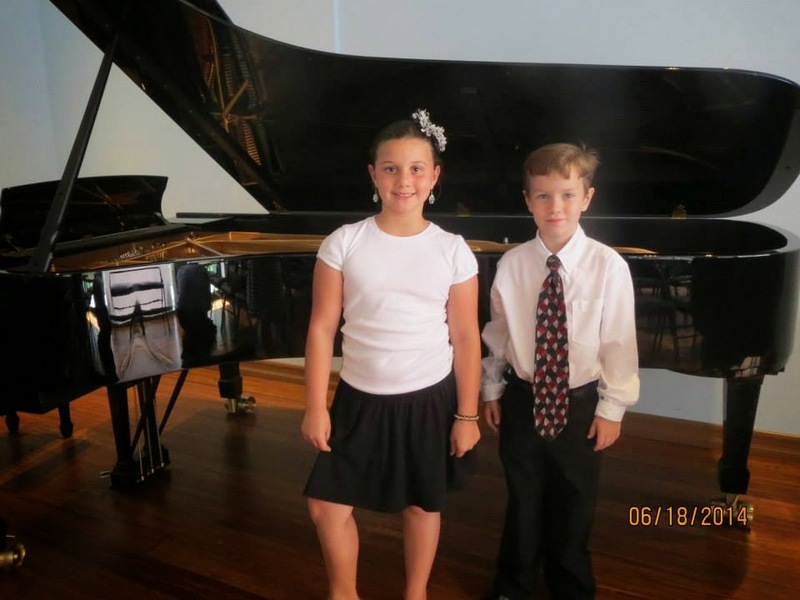 When I called him up for his final performance at the recital, I couldn't hold back the tears. There were several moist eyes in the room. I know he loves it and I know he'll keep playing, and that makes me so very happy. Another thing that was special about this recital was that it was Conor's first. I've toyed around with teaching Conor for a couple of years, but we only got serious recently. He's grown up hearing piano music and he's seen what practice can do. He wants to learn and so I've made him an "official" student. Somehow between the car and the gallery he lost his piano book, which remains a mystery, but fortunately he had his music memorized and he walked proudly up to that piano and played his pieces well. This is Conor's friend, Jade. She's the daughter of one of my great friends. She and Conor have been friends since they were babies, and this was Jade's first recital also. This is sweet Rebecca. Oh, she is a delight! She played one of my favorite pieces, Waltz in A Flat, by Brahms, and she played it so beautifully! She also played Beethoven's Ecossaises, which was a perfect piece for her. She is a wonderful performer and plays in church often as well. She's only 11 and already so accomplished. I also teach two of Rebecca's siblings, Allison and Kyle. I can't wait to get the youngest brother! All of them are so wonderful and play so well. I really, really love what I do. Progress is slow coming sometimes, and even frustrating. I'm tired often, squeezing lessons in between waking up from working the night before and getting ready to go to work again. But the kids get inside my heart and I just can't give it up. I never in a million years thought I'd be doing this, but it's been a blessing in so many ways. It's nice to have another recital behind us now. A huge relief, really. Now we can get to work on even more music! You're gorgeous sitting on that piano bench #5 down, with your Conor there. Great work. Music does things for kids, last a lifetime.